An incredible nineteen shires in regional Queensland have joined the drought declared list, bringing the total drought-affected area to just under half the state. The Queensland Government added Quilpie in the state’s south-west to the list this morning, Agriculture Minister John McVeigh said the area had seen some rain recently, but not enough to provide any real help to graziers. Quilpie Mayor Stuart Mackenzie has welcomed the State Government declaration, saying farmers in his electorate were crying out for water: “There are a lot of dams dry across the shire... I know people have been piping water to places that they normally wouldn't have to, and that's probably only going to get worse as we get into the warmer weather so that could be a real benefit to people,” said Cr Mackenzie. Being added to the drought declaration list is an official acknowledgment by the government that an area or property is drought-stricken. Declarations now cover about half of the state geographically. The desperately dry conditions make recent plans to develop a northern Australian ‘Food Bowl’ seem totally unrealistic. Recently propositions have been made to greatly expand dam and irrigation facilities in the north, though current conditions make the possibility highly remote. 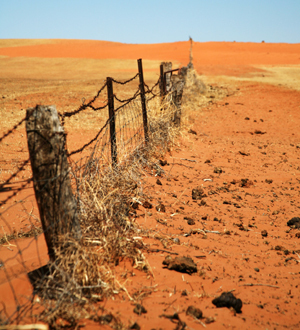 A map of Queensland drought situations is available online.